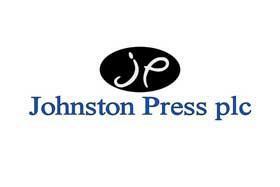 Johnston Press has replaced two group editors with one editor-in-chief in its Sussex Newspapers division. Keith Ridley, former managing director of Johnston Press’s central counties division, has become editor-in-chief of the Eastbourne and Hastings centres. Peter Austin, editor of paid-for weeklies the Eastbourne Gazette and the Eastbourne Herald, has formally left the group today after a consultation period ended. Hastings, Bexhill, Rye and Battle Observer editor Peter Lindsey has also left today. In December, Johnston Press announced it was merging Sussex Newspapers with its TR Beckett division and centralising sub-editing in Horsham. Johnston Press announced it made a £128.4m group profit last year – down from £178.1m in 2007 – on revenue down 12.4 per cent to £531.9m. The operating profit margin was 24.1 per cent. Chief executive John Fry predicted “a very challenging year”.